The accidental, unlikely, real-life, and unsung heroes of MKULTRA - A Good Man Is Hard to Find - My Search for Ronald H. Tammen, Jr. In view of the last several posts, I thought it would be a good idea to provide a little background on MKULTRA. At the end of this post, we’ll discuss what’s in store for the next couple months, particularly 4/19/19. In the early-morning hours of Saturday, November 28, 1953, a 43-year-old man by the name of Frank Olson flew out of his 10th-story window at the Hotel Statler, a century-old brick structure in Midtown Manhattan that, to this day, stands directly across the street from Penn Station and Madison Square Garden. (It’s called the Hotel Pennsylvania now.) Olson was a bioweapons expert employed at the U.S. Army’s facility known as Camp Detrick (renamed Fort Detrick in 1956) in Frederick, MD, and, in the preceding days, he’d been struggling with some ethical issues regarding the work he was involved with. Olson had also been acting strangely of late, and for good reason. He’d attended a three-day retreat, November 18-20, at a cabin at Deep Creek Lake, MD, with a select number of people from Camp Detrick and the CIA, and two officials from the latter organization, Sidney Gottlieb and Robert Lashbrook, had slipped some LSD into his drink. Things with Olson were never the same. In the ensuing days, Lashbrook had accompanied Olson twice to New York City to get him some help—from a CIA-affiliated psychiatrist/allergist—and it was during the second excursion that Olson fell to his death. The CIA contends that Olson’s death was a suicide and that Lashbrook, who’d been rooming with Olson, had been awakened when Olson took a running leap, breaking through a closed window. But despite the CIA’s spin, the jury is still very much out on the question of how and why Olson exited that window. If you’d like to know more about that case, I suggest you watch the highly binge-able, six-part documentary “Wormwood,” on Netflix. You can also visit Frank’s son Eric Olson’s website for background information or the many other articles and books that have been written on the case. The reason I bring up Frank Olson here is because, as far as I can tell, he may have been the first person who nearly outed MKULTRA as his horrific death hit the front pages of area newspapers. In its inimitable way, the CIA managed to cover up the whole thing, and for the next couple decades, the agency went back to its business of drugging, hypnotizing, electroshocking, and who knows what else to innocent citizens, all in the name of fighting Communists. Some of our younger readers may not realize this, but, in a very weird way, if it hadn’t been for Richard Nixon and Watergate, we may have never learned about MKULTRA and its precursors, BLUEBIRD and ARTICHOKE. Back to Watergate. Richard Helms, then director of central intelligence, was later fired by Nixon after his reelection, but not because of the CIA’s connection to the break-in. Instead, Nixon was angry with Helms for not allowing the CIA to assist in the cover-up. Before Helms walked out the door in early February 1973, he ordered the destruction of all documents pertaining to MKULTRA. And he would know. Helms wasn’t just the person who witnessed the end of MKULTRA. He was there, at the beginning, when it was just the germ of an idea floating around in his commie-obsessed brain. In fact it was Richard Helms who infected Director Allen Dulles with the idea. Dulles, in turn, gave the program the green light on April 13, 1953. Obviously, Helms was aware that, should information on the program become public, the public would have blown a collective gasket. An unlikely hero, in my mind, is someone who does something courageous when most people wouldn’t have expected such actions from him or her, which I think applies nicely to Helms’ successor, James Schlesinger. I mean, who would expect the director of central intelligence to air the agency’s dirty laundry in full view of the American public, not to mention the whole world? When Schlesinger arrived on the job, he wondered what else the CIA had been up to that fell outside its normal charter. He issued a directive asking all CIA employees past and present to report to him all of the outlying programs that they’d been involved in over the years, no matter how ill-conceived, pernicious, or flat-out illegal. And egads! The result was a nearly 700-page compendium endearingly known as The Family Jewels. Thankfully, this was when real-life hero John D. Marks stepped in. The way I see it, real-life heroes are the people who accomplish something great because their heart’s in the right place and they’re willing to take whatever arduous path is required to make it to the finish line, perhaps even putting themselves into harm’s way in the process. Marks didn’t settle for what Helms had to say. A former intelligence officer with the State Department, Marks submitted a Freedom of Information Act request in 1976, seeking “all documents relating to the CIA’s drug and behavior-modification programs,” and later specifying BLUEBIRD, ARTICHOKE, and MKULTRA as well as related programs MKSEARCH and MKDELTA. What came back, eventually, was 16,000 pages of documents—seven boxes’ worth—that Helms and his minions had (fortunately) missed because the documents were from the CIA’s Budget and Fiscal Section and had been housed offsite. (See page 5 of the report of the 1977 Joint Hearing on MKULTRA for a thorough explanation by CIA Director Stansfield Turner of how the documents were discovered.) Marks used those documents along with extensive interviews to produce his 1979 classic, The Search for the Manchurian Candidate: The CIA and Mind Control, which is must reading on this topic. Seriously, if you read only one book on the CIA’s mind control programs, this is the one you want. Not only did Marks’ FOIA request make his blockbuster book possible, but it also enabled the rest of us to dive into the source material, though it has taken a while for that to happen. More on that in a minute. It seems that the CIA never really “got it” regarding the whole MKULTRA matter and the need for keeping the public in the loop. Not long after the Joint Hearing on MKULTRA took place in August 1977—after they’d withstood the scoldings for Helms’ 1973 document purge, and then had to subsequently explain how they were able to find seven boxes of documents after all—a 1978 CIA memo was issued saying that MKULTRA was the number one program in which they had concerns regarding the Freedom of Information Act. Why the concern? Because they felt that releasing information about the program in “bits and pieces” only misled the public. Of course, releasing the information in that form was a problem of their own making. But whatever. The unsung heroes are all the people who continue to seek new MKULTRA-related documents by submitting FOIA requests and Mandatory Declassification Review appeals even though the cards are stacked against them. They’re the people traveling the same rocky path that John Marks traveled—one that requires heart and chutzpah and hard-earned cash. They’re real-life heroes but without the name recognition, at least outside FOIA circles. For despite Richard Helms’ efforts at putting the kibosh on any public knowledge of MKULTRA whatsoever, documents continue to be declassified and are being made available online. MuckRock.com, a “nonprofit collaborative news site,” is a gathering spot for anyone interested in government transparency to file, track, and post FOIA requests and results. Thanks to a FOIA lawsuit fought and won by MuckRock, every man, woman, and child can now access the CIA’s declassified CREST files online instead of having to drive to the National Archives in College Park, MD, and sit at one of the CIA’s designated computer stations. Speaking as someone who has done the latter a time or two, the ability to conduct research day or night from my laptop 300 miles away from there is JUST SO WORTH IT. Then there’s Thomas Blanton, director of the National Security Archive, who filed the FOIA lawsuit that enables us all to view the Family Jewels. There are also FOIA lawyers who, on occasion, are willing to offer their expertise pro bono to help obtain public access to the more tightly guarded CIA documents. And those are just several shining examples. The rest of you know who you are. We thank you too! Some present and past CIA employees are also unsung heroes. They’re the people who fervently believe in the public’s right to information once it’s been determined that there is no risk to national security or an individual’s privacy. Take that FOIA guy from 1977 who finally discovered the financial documents for MKULTRA in an offsite location for retired records. Where would we all be without him? Or Jeffrey Scudder, a former CIA employee who was so annoyed by the CIA’s unwillingness to let go of information that had been cleared for release, he filed his own FOIA request to have the documents made public. I don’t know if any of those documents had to do with MKULTRA, but maaaan…the way the CIA treated him for doing his job? Those guys don’t play nice. As I’ve mentioned elsewhere on this site, amidst all of the MKULTRA documents that have been released to the public, I’ve found two that I believe are related to Ronald Tammen’s disappearance. One I’m 99% sure of, and the other I’m less sure of, though my confidence grows by the day. The documents are heavily redacted and are both under review for the possible release of the name of an individual who is linked to Tammen. I’m cautiously optimistic that the person’s name will be released and, if so, that it will be the person I think it is. But, as you know, this process isn’t for people with short attention spans. It’s been roughly five years since I found the first document—about two years for the second one. This could take another year or two. Or ten. 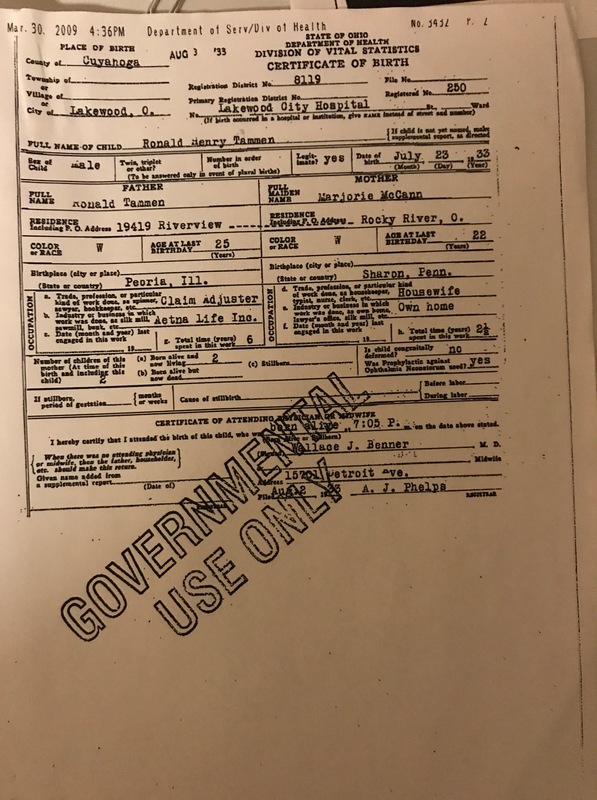 On April 19, 2019, the 66th anniversary of Tammen’s disappearance, I’m going to share the two documents with you, even if we haven’t heard from the powers that be yet. I’ll also propose who I believe is named in them and why I think so. I’ll also give you my theory regarding what I think happened to Ron. There will be holes—loads of them—as far as what exactly happened, since that information is probably impossible to get our hands on in document form and, alas, time travel is still not a thing. But I’ll present my case and everyone will have a chance to weigh in. Then, Good Man readers, I’ll be putting this blog on hiatus, and we’ll begin the waiting period for the final verdict. For those of you who wish to be notified as soon as it happens, I’d suggest following the blog if you haven’t already. You’ll receive an email within five minutes of my receiving the news—good or bad, right or wrong. In the interim, I’ll be heading back underground—deep into writing and researching and (fingers crossed) attempting to find an agent who is in the market for these sorts of stories. But that’ll be in a couple months. We still have a few more things to discuss. I’ve started sifting–slowly (LOL) through the first file of MK ULTRA documents from The Black Vault. My goodness, the money the CIA was giving out left and right in expenses for the project were astronomical back then. They provided constant funds like handing out Dixie cups at a party. Currently, I’ve made my way to the PROJECT ARTICHOKE section. I cannot wait until April 19, 2019 when the two docs will be revealed. With your theory in regards to what happened to Ron, and the loads of holes within, it’s going to be a true ‘meeting of the minds’ in discussion with you, and all Good Man readers. In which the latter will be able to share their theories too. Those loop holes in your theory could possibly be filled with theoretical place holders until the truth is finally revealed, with some that may even fit like puzzle pieces. At that time, I’ll finally share mine, after examining Ron’s PSYCH book, some CIA hypnosis documents, and the involvement of H.H. 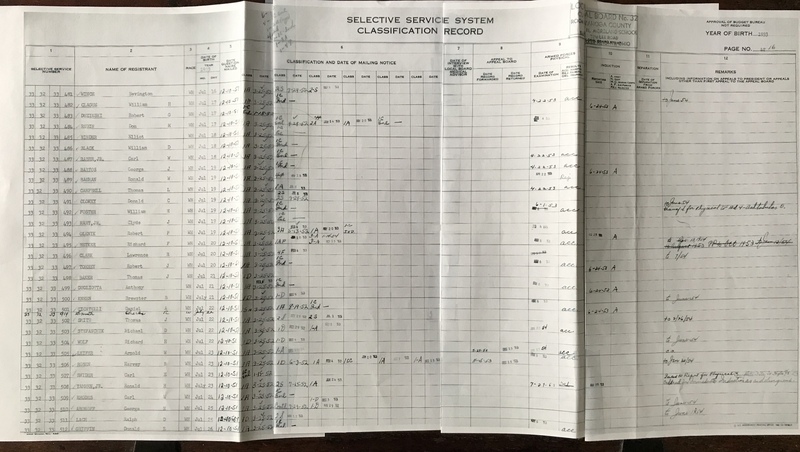 Stephenson’s account from his August 1953 sighting of Ron. It’s all starting to make sense. Also, I’m crossing my fingers for you as well for when you begin your search for a literary agent. I’ve been looking for one for several months now for my new Science Fiction novel. Let me just say that the literary agent industry is not what it used to be. It has changed so much since my time while under screenwriting management years ago. It’s much harder, especially for non-fiction writers too of true-crime and unsolved mysteries. For years, there was an old vintage mystery bookstore in the heart of downtown Seattle that had every new fiction and non-fiction mystery book available. I walked in last year and learned from the owner that the store was up for sale and that they no longer sold true-crime and unsolved mystery books. The owner stated the demographic of readership for that genre in the literary industry has declined. Seems readers want mystery fiction only. Sadly, as of recent, the entire bookstore has closed–permanently. But when the time comes, I recommend QueryTacker online. Not all agents and publishers are listed, but it’s a great tracking tool and resource for finding and querying them–targeted to your book alone. Plus your Good Man blog helps tremendously to show them reader interest is out there, and for future book marketing needs. And my advice: query Independent publishers too. Many take un-agented, unsolicited manuscripts and get good publishing deals. Just avoid any publishers and agents who want “All rights” in a contract as you don’t ever want to give your literary project and its right away for free. And if need be, self-publishing has has some positive merits too. Thanks so much for these thoughts, and so sorry for the delay in approving your comment. For some reason, the notification went into my ‘junk’ email, and I just happened upon it. Hmmm. I just upgraded my account too! Anyway, thanks for the tips on querying an agent and for letting me know about The Black Vault. I’d seen the site online but didn’t realize the extent of the information he has, so I’ve been late to that party. As far as I can tell, he has everything I have on MKULTRA and then some. “The Search for the Manchurian Candidate” is a fantastic resource on this topic. The full version can be found online, though I can’t attest that it’s a 100 percent there…but it appears to be. http://www.psychedelic-library.org/marks.htm. Thanks again! No worries about the delay. And thanks for the link. I’ll be sure to check it out. Yeah, on The Black Vault site, I saw the list of missing MKULTRA documents the owner never received that were supposed to be in the collection. I hope they will be released sometime soon. I’m halfway through the PROJECT ARTICHOKE docs. I felt I spent half the day in the Twilight Zone from reading about electric fish, ESP, drugs, learning while sleeping, cardiac arrest and vegetative states from shock therapy, regrowing limbs, and training seals to hold their breath underwater for longer durations. I can’t believe they were into this bizarro stuff. I mean, I knew they were into weirdo things in the late 70s and 80’s–like psychic remote viewing, and along with the US Army, they funded astral projection and hypnosis research. I hear they still do for astral projection training. There was always rumors that the CIA was created because of the UFO phenomenon in the 1940s. The more I delve into the world of MKULTRA and PROJECT ARTICHOKE, I’m starting to believe it. I somehow missed the trained seals docs! It’s going to be very hard to wait until April 19 to share my evidence—but I’ll do my level best. I just think it’s high time we have a discussion about these two documents. Can’t wait! I have been thinking out your coming docs on the 19th. I’m kind of nervous with anticipation. Nervous because I know it will be closer to the truth, but yet nervous in knowing what possible direction Ron could have taken after his disappearance. in those MKULTRA docs, I’m to the point where the ARTICHOKE officials were proposing to hire hypnosis experts, doctors, and getting college universities and instructors involved. In one doc, it stated something about students shouldn’t know about the experts or doctors in the group sessions, and they should hire an outside person, not associated with the agency and medical field, something alluding like another student or peer amongst them that the students trusted for several group experiments. It was hard to read and full of redactions. I’m also on the lookout for anything mentioning R.J. Williams too. There was also a doc mentioning the urgency for the agency to hire a renown hypnotist for ARTICHOKE. The man was from New York City and the memo stated he had no other medical training, but was trained in the field of it. I take whomever they were referring to was an entertainer. But then, there was another doc possibly mentioning the same person who was under tight supervision from his medical superiors who weren’t allowing him to fully utilize his potential in hypnosis. But if the CIA hired him directly, he would be able to experiment more fully in undiscovered research. 1. Recruited by the CIA as some kind of agent. 2. He was unknowingly (or knowingly) mentally conditioned with hypnosis for something, possibly for ARTICHOKE and then MKULTRA (which has been my reasoning for the last two years, more than ever before). 3. He volunteered for something, an experiment that went wrong. Perhaps his fate turned out to be parallel with Frank Olson’s that year in 1953. After Olson’s tragedy, it could have been a similar fate that spiraled slowly downhill and out of control. It’s quite possible such a scenario could have caused an irreversible psychotic break, where he needed mental and emotional treatment for the rest of his life. Perhaps, like I said before, it could have experimentation gone wrong or too long, or both, and he ended up in a vegetative state under the government’s care, under a different name, until the time of his death. There’s so many possibilities with this case, and I would be surprised if there was more than one final outcome. Fascinating, as always! I’m so impressed with your persistence in obtaining the facts and sharing your journey with us. Looking forward to your final thoughts and the publication of your book! Thank you so much, Deb! You were there since the very beginning of this journey and I so appreciate how you’ve stayed with it too! The mundane truth of the JFK assassination is that a loser in life stuck a rifle out a window and made a name for himself, but I’ll kumbaya with you anyway. MKUltra is that rare conspiracy narrative that’s actually true. Not much time to dig through the documents lately, but eagerly awaiting developments on AGMIHTF. Haha…thanks. 🙂 We’ll have to agree to disagree on JFK. Also, there’s a book out now on RFK by author Lisa Pease that’s interesting as well. (And yes, the CIA and hypnosis could be involved.) I’m currently working on blog updates as we speak—one on Wellsville and one on the hypnotists of Oxford, O. Also, I learned something today that, imo, helps validate my theory even more. I’ll be sharing that with the rest of my evidence on April 19.